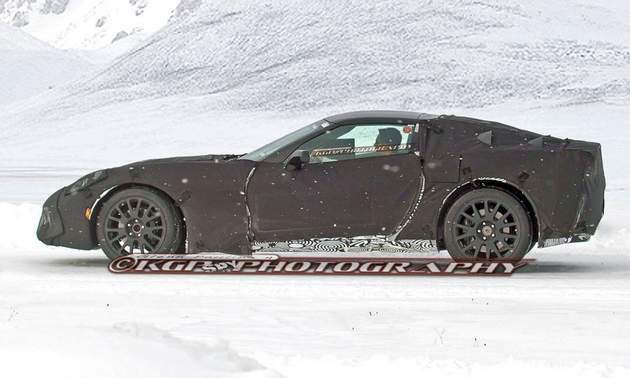 Guys from “KGP Photography” brings some new spy shots again. 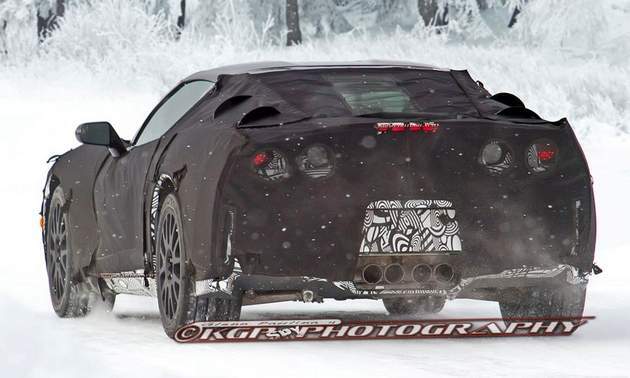 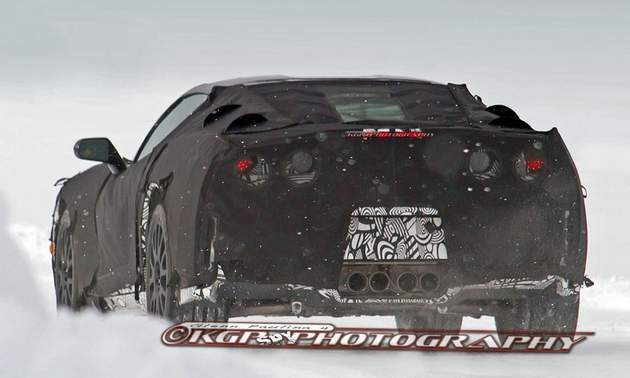 This time its all about the C7 Corvette, which is expected to be brought to public in 2014. 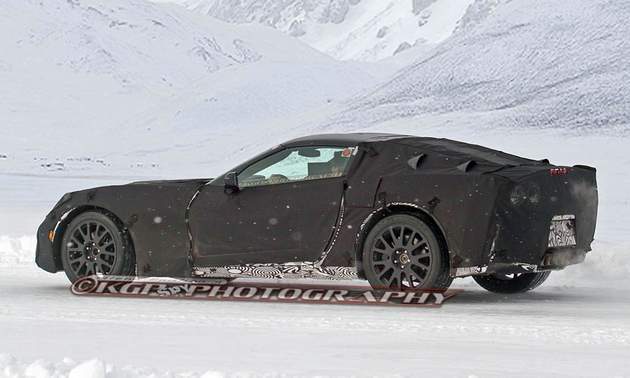 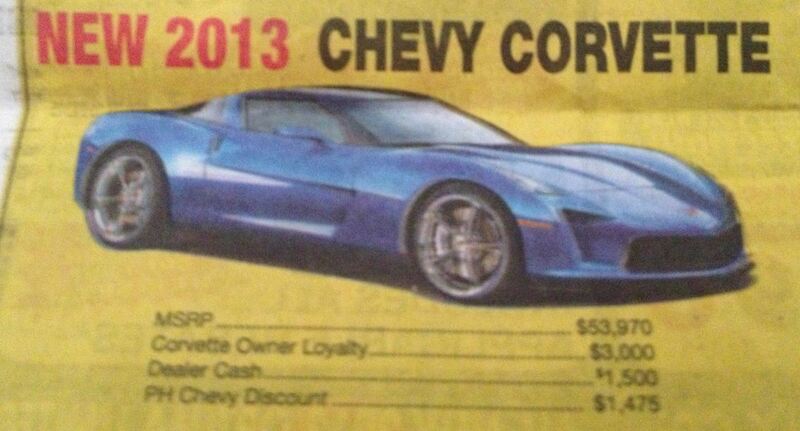 Until C7 arrives, Chevy is to bring us the special edition C6 Vette as a 60th Anniversary 427 Convertible. 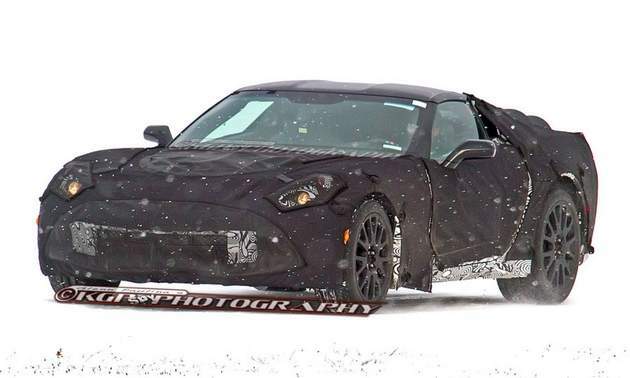 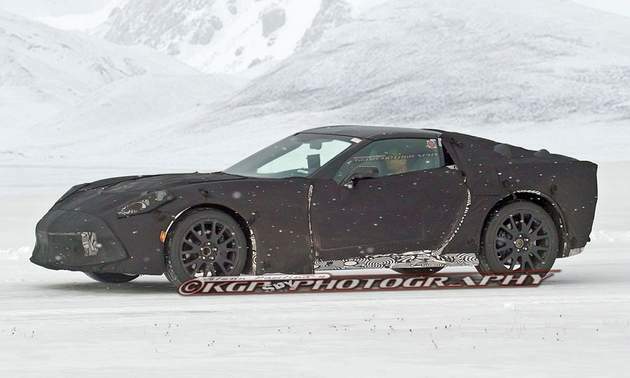 After these photos got public Jalopnik.com shouted they were right about the design while Autoblog.com noticed that the C7 front wheels moved a bit forward [which increases the dash-to-axle ratio and likely the wheelbase], the rear end seems to be longer with a higher deck lid and longer overhang. 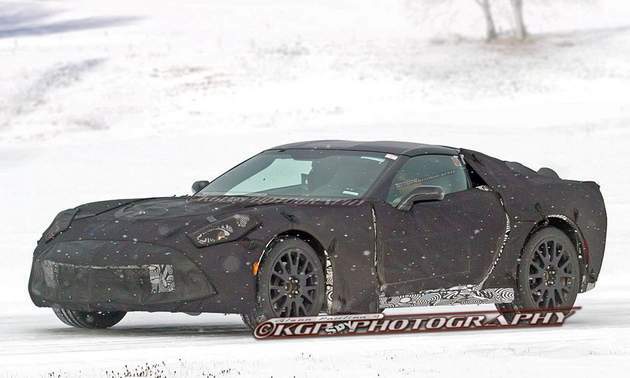 They also noticed that side-mirrors are different form C6 [which makes no surprise, actually], and there are no evidence of split rear window too. 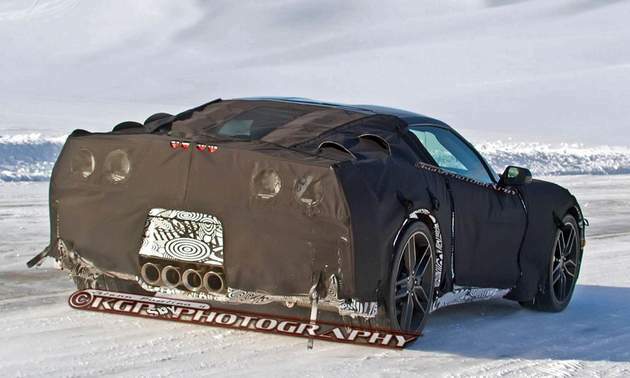 The 4 exhaust pipes are obvious. 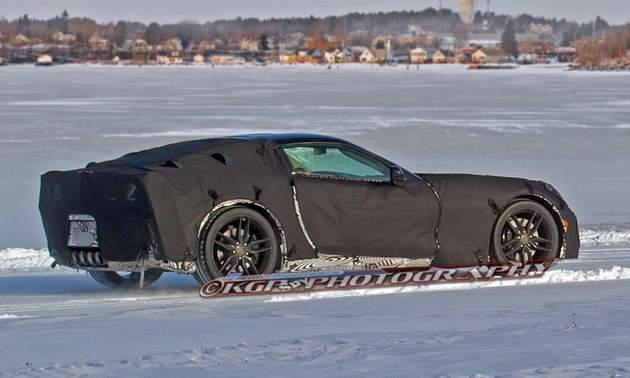 Our opinion: we are sure the C7 Corvette is gonna be awesome, but it is also quite obvious the car will probably be too far from Stingray concept design trend which we like a lot.